Insure Big Rig » Why Choose Us? 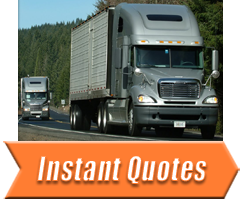 Insure Big Rig Insurance specializes in insurance for owner-operators and fleets. No matter what type of trucking fleet you operate, we have the right policy and coverage for your specific needs. Our mission is to enhance your insurance coverage, reduce your risk and improve your profitability. Working with you, we analyze coverage gaps, identify potential loss exposures, and recommend proper limits of liability to protect both property and financial assets. As a business owner, you understand how important insurance is to the overall success of your organization. With Insure Big Rig, you get experience and knowledge of the trucking industry for tailor-made insurance programs. No wasted premium dollars. No surprises. Our staff returns phone calls and emails the day we get them, because this is what clients expect. We provide answers to your questions when you need them. Our staff makes the difference – people don’t do business with companies, they do business with people. We are real people that live and work in the community just like you. We are not a faceless corporation or a nameless 1-800 trucking insurance agency found on the internet. We know price is important to you – we bring value to your insurance program by effectively marketing your account with our 20+ trucking insurance providers. No one else comes close to our access to truck insurance markets! In the event that you find a lower rate from another company, we will review it and give you our fair opinion even if it means that we will lose your business. We are here to answer your trucking insurance questions. Trucking is a complex and highly regulated business. Have a question about a driver MVR? Need to know how much will it cost to add a another truck? Need competitive rates in cargo coverage for one trip? Just call or e-mail us. We don’t have all the answers, but we’ll try our best to find out. Small business is big business for us. We’re a locally owned and operated family business. We don’t have a private jet or vacation homes in Boca Raton or The Hamptons. We understand your problems and concerns. Small trucking fleets make up the majority of our business. We’ll work just as hard to cover the owner-operator as we will for the 20-unit trucking fleet. I have been in the trucking business for about 5 years. I have had 2 other insurance agency’s. I switched to Insure Big Rig about a year ago and hands down this is the best service I have ever received. The products that they offer are over the top. No one else can offer the products that Insure Big Rig provides. Very happy customer. Top notch organization to deal with for commercial truck insurance. When I thought I had a serious issue aquiring truck insurance, John @ Big Rig expedited things and came thru with top rated insurer for a premuim price almost half of what I was being quoted. Give him a call and let him work his magic. He got my 100% approval! Jan – Singleton Trucking Inc. This review is long overdue but very well deserved… I personally cannot say enough about how instrumental John Milelli and his team at Insure Big Rig (Oakwood Insurance Agency) have been to me as an owner operator in his first year in the hauling business. I have one of the lowest commercial insurance rates among my peers and am insured with one of the top five insurance companies in the U.S. John consistently goes above and beyond the scope of his duties to ensure I – his client receive clear answers to any questions or the reassurance that any unforeseen circumstance would be resolved quickly. In a time when great customer service has become very hard to find and for many businesses it has become a thing of the past, John exceeds every expectation I have about great customer service. If you are just starting out and need insurance with someone you can trust, please give John Milelli at Insure Big Rig / Oakwood Insurance Agency a call BEFORE you call anyone else or before you settle on a rate that may not be in your best interest. John I hope you are reading your reviews. I appreciate all your hard work and everything you have done to make our business so successful this first year. Thank you for all you have done and for all you do. See for yourself what makes us different – get started!